Most families use disposable wipes at one time or another. Disposable wipes get frequent use when there is an infant or young child in the household. They are already wet, so they are excellent for cleaning a child who has used the bathroom. Wet wipes usually go wherever parents go, so they can access them quickly when the child needs to have a diaper change. At one time, people thought that many kinds of wet wipes were flushable. It has been determined that is far from the case. Despite some of them stating they are disposable or even flushable on the label, they still clog toilets. Because of the labeling, people are continuing to flush these wipes, unaware of the dangers of doing so and of the risks that accompany them as they go down the drain. Here's what it looks like when he cleaned a drain with a bunch of clogged wipes! Although the labeling on these wipes indicate they are flushable, they don’t biodegrade well. The wipes will get stuck in the drain, which can lead to a massive clog that can cause extensive damage and result in added expense later. These wipes can be very damaging to the septic system. Anything flushed will enter the septic system, including wipes. You want to only flush things that are biodegradable, so they don’t lead to clogs. When flushed, wipes will go down the toilet, and then enter the septic system. The wipes can quickly get stuck halfway down, then anything else that is flushed and passing through the septic system can stick to the wipe. The typical scenario involves flushing a wipe, it gets stuck, then more wipes are flushed and get stuck. A ball is created, and more items attach. A clog then forms, and you end up with a big mess and a situation that requires immediate attention. Clogged pipes can burst, which can lead to damage to your home. The extensive damage that results can be very expensive to repair. The damage can extend beyond plumbing, and it can lead to backflow that floods your home damaging the structure and the contents. If you continue flushing disposable wipes, you will notice problems with your toilet. Your toilet will overflow. It might reach the point that the toilet can’t flush. The commode might keep backing up, or the toilet might drain very slowly. If the clog is enormous, the shower might start hoarding water rather than draining correctly. Sometimes the sink will not flow as well either. 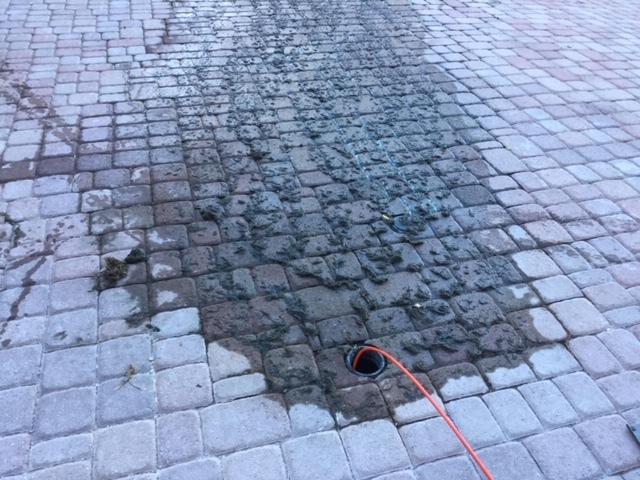 There are some situations in which a snake can get rid of the clog, but in most cases, extensive septic work will be required to get the clog out. Extensive septic work is necessitated if the clog blocks all the home’s drainage system. While many other things get sent down the drain that causes problems with the septic system, it is much safer to flush toilet paper. Many municipalities have had problems with clogs caused by wipes and other materials being flushed. Since wipes became popular in the 1990s because of how helpful they are in cleaning infant behinds, there have been many major problems with public septic systems. Wipes are now advertised for personal hygiene services, such as cleaning hands and removing makeup. They are also used for cleaning surfaces, so they are used for much more than just cleaning children. When your commode starts acting clogged, or if you notice problems with your commode, sink, or tub draining, you need to call for the help of a plumber in your area. Major clogs, such as these, require the attention and care of a trained professional, who can determine the root of the problem and determine the best way to proceed with removing the clog. The longer you wait to address the clog in your septic system, the worse the problem will be. Postponing getting help can lead to worse problems and a higher expense at fixing the septic system in your home. Trying to fix the problem yourself can lead to even more issues and result in the need for replacing and repairing even more pipes and parts. If you find yourself with a clogged septic system in the Phoenix area, call George Brazil Plumbing and Electrical. Since 1955, we have offered around the clock service because we understand emergencies happen at any time and we know some things cannot wait. Call (602) 257-9000 today to schedule service.